A few decades hence, our grandchildren will gather at their local airport to take a flight to destinations far away using hyperspace machines. These will have a number of fanciful technologies, not least a radiation protector built in as the level of isotopes courtesy of the Sun will be fatal. They will also have real-time monitoring. Unlike planes right now. Long-haul flights are not properly monitored. Your local veggie truck has more real-time tech gear on board sending off signals to satellites about its location, speed and actions than a half-a-billion dollar infernal flying machine. 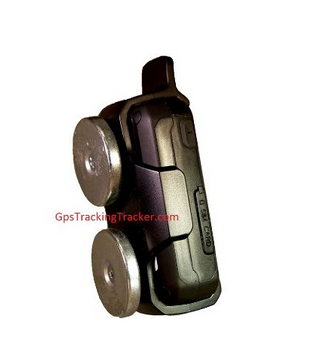 Microtracker. Two weeks battery life. $112 now on Amazon. Shocking fact. Yes, up to now airlines have got away with this because each is a national carrier. If you’re going to fly to Australia from South Africa, you’re passed from control area to control area. That means the airliner has a vague sense of where you are most of the time, and every 30 – 40 minutes the plane sends a burst of data using ACARS. More about this below. Controllers receive information relayed to them linked to a transponder on the plane viewed through radar screens. We’re also using basic 1950’s tech called VOR beacons in order to direct the plane through the atmosphere which is brilliant – but dated. So the state of the art jetliners’ computers are fundamentally operating by way of a radio signal from the ground. And this is 2015. Isn’t that just a little odd? I mean we just directed a satellite onto a tiny piece of ice and rock in distant space. Can’t we figure out a system to track our own commercial airliners that’s real-time? Planes are tracked using various methods. One is the infamous Rolls Royce jet engine ping every hour which sends out a tiny bit of data. The other is the ACARS tracking system –Aircraft Communication Addressing and Reporting System which uses one of the oldest form of radio – AM! It’s limited to 220 characters and is relayed in bursts. Think limited email for aeroplanes. A third is the Transponder. All can be disabled except the engine pings. It’s not like the application linked to the Veggie truck that sets off an alarm when the truck suddenly deviates from its route – and which can’t be tampered with without alarm bells being triggered. The big thing here is someone is physically WATCHING the data in real-time. 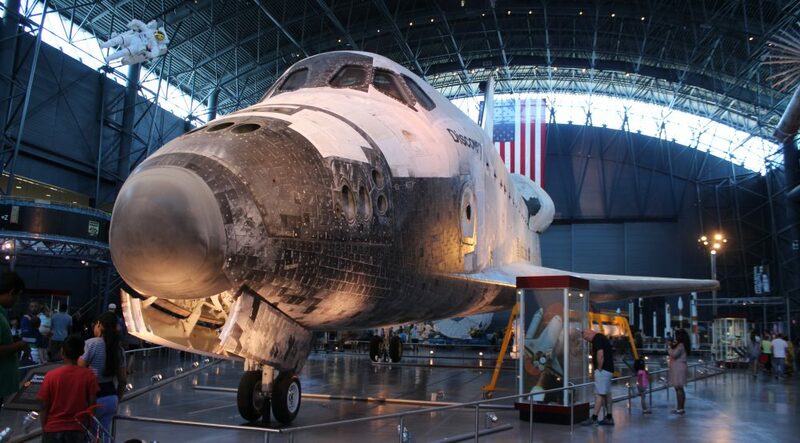 Airliners have been cagey about the idea because of cost. What kind of application is going to track 10 000 flights in the air simultaneously. And think about terrorists. Wouldn’t they just love to get their little hands on a system like that? Well there are a few like FlightRadar24 that already provide any lunatic with enough information to target commercial flights landing and taking off anywhere. Now we hear that Australia’s Qantas is launching a 15 minute tracking system instead of the 30 minutes. Still that doesn’t help if your pilot is suicidal and switches off ACARS, transponders and monitoring devices after incapacitating the 1st officer, crew and passengers. The problem is power. In aeroplanes, crucial systems are all on power buses. These can be pulled or disabled if there’s a fire warning. So this new monitoring system will have to be completely automatic and pilots will not be able to stop their operation. Like a $112 two week battery powered system used by Dobsonville Fruit & Veg. Can someone design a fool-proof system to power an auto-ping that provides exact location, speed, and other data that’s cheap enough to use full-time on all commercial flights? That also uses satellites? And what about solar flares which knock out satellites? Some kind of global ground and space based combination? The latest system is pilot and crew independent and automatically tracks the plane. But its still only every 15 minutes. That’s hardly enough. Yes, you’ll probably find the plane at some point – but isn’t there someone watching this $500m object in realtime? 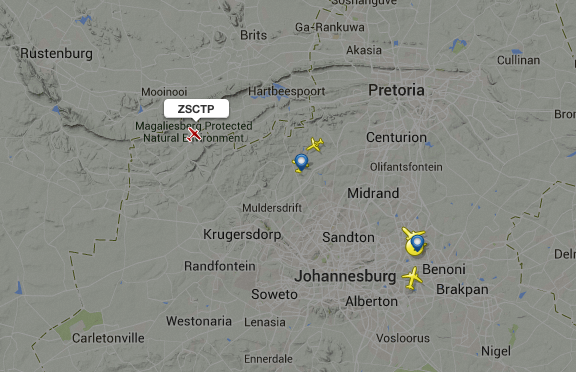 Details of ZS-CTP are trackable overland using the planes’ transponder data. It’s too expensive we’re told. So the massive plane with its 300 people on board is “too expensive” follow around by humans. Rather wait for MH370 to happen where hundreds of people disappear and the airliner is brought to its knees by insurance and civil claims. Talk about making no sense. It’s like playing Russian roulette with our lives.